These small creatures are by Bryan Randa. Bryan Randa is a lampworker and a glassblower. 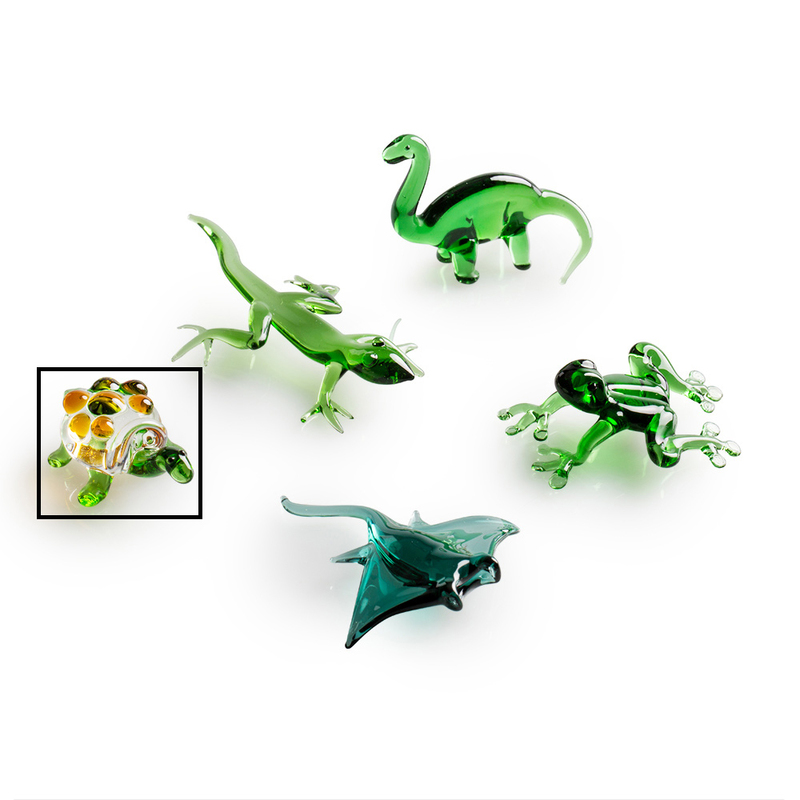 He creates lampworked glass creatures of the ocean and of the garden by melting Corning Pyrex glass on a torch and forming the molten glass into original lifelike creatures.